The New Orleans Saints were dealt a tremendous blow yesterday when it was revealed that veteran DT Nick Fairley has a heart condition that potentially could force him to end his 7-year NFL career at age 29. As New Orleans Advocate beat writer Nick Underhill reported last night, Fairley's heart issue was actually detected a few years ago, during a medical evaluation right before the 2011 draft. He had a recent check-up with a new doctor who saw it, became concerned, and ordered additional tests, according to Mike Garafolo of the NFL Network. Fairley has played with the issue throughout his entire NFL career up to this point. Underhill says that losing Fairley for any period of time would be a big blow to a defense trying to fight its way up from the bottom of the league's rankings. And since Fairley was the assumed starter at defensive tackle, Underhill notes that he was a big part of the Saints D-Line's interior pass rush and finished with 6½ sacks with 47 pressures. What's not known at this point is whether or not Fairley will still attempt to play anyway with the condition since he's done so already for as long as he has, or decide to go ahead and retire now at age 29 -- so as not to jeopardize his health any further. However, what is known is this: the loss of Fairley on the Saints defensive line rotation will likely put 2nd-year player and last year's top Draft pick Sheldon Rankins at the top of the depth chart, where he would play next to nose tackle Tyeler Davison in the base 4-3 defense. And perhaps more notable: it means that 2nd year defensive tackle David Onyemata will likely be the one player as of right now, who would likely take on a bigger role in the substitution packages for the Saints pass rush, in Fairley's place. The question that may Saints fans are likely to ask is: is Onyemata up to the task? Last season in limited action as a rookie, the 6-foot-4, 300 pound Onyemata finished the season with 18 combined tackles but showed a lot of potential, enough so that the Saints began using him immediately -- placing him into the lineup due to a leg injury suffered by Rankins. However, he was used somewhat sparingly after Rankins' return; although he ended up playing in 36% of the team's defensive snaps in 2016. If there's any "upside" with Onyemata being the one who will bear the responsibility of filling Fairley's role on the Saints D-Line, it's that he should have much a stronger understanding of the Saints defensive system heading into his 2nd year. After being taken in the 4th Round of the 2016 NFL Draft by New Orleans, Onyemata was viewed by most observers to be a "project player", since he played his college ball at the University of Manitoba in Canada. With the rules of Canadian football being slightly different, last year in the Pre-Season against Patriots was the first time that he had ever lined up directly over (and not with a 1-yard cushion as they do in Canada) an offensive lineman in a football game at any level. Onyemata is a native of Lagos, Nigeria, and didn't even arrive on the North American continent until he and the rest of his family immigrated to the western part of Canada in 2011; where he then decided to attend Manitoba. In between classes, Onyemata quickly learned the game of football; and although the game in Canada is similar to the one played here, it’s also very different in a variety of ways -- most notably the scoring rules and the number of players (12 as opposed to 11 for the NFL) allowed on the field at one time. Which when you think about it, makes Onyemata's leap forward from essentially a "novice" all the way to a player who is now in his 2nd year in the NFL, all the more remarkable. For the Saints defensive coaching staff, the prevailing thought has always been that Onyemata's development was going to be a gradual process, and that a little bit of time and a whole lot of patience would be required; before he was ever going to be ready to contribute in a meaningful way. However, because he was "thrown into the fire" due to Rankins' injury last year and performed admirably, there is certainly reason for optimism moving forward. 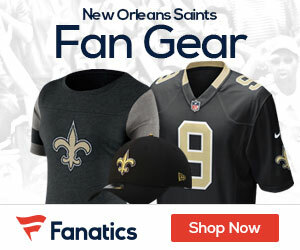 But there is going to be a lot of expectations from both the team's coaching staff and the passionately rabid Who Dat Nation fan-base, that will be placed upon Onyemata if indeed Fairley is lost for any significant amount of time, if not permanently. Should Saints Fans Worry About Fairley “Missing” OTA’s?